Hands On! 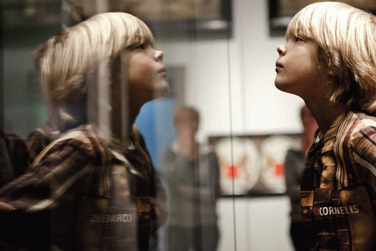 believes that museums should encourage curiosity and imagination in the children who visit them. We recognize the role and significance of both collecting and non-collecting children’s museums. Hands On! is committed to the professionalization of all museums that welcome children. Not only in terms of exhibition design and programmes, but also in financial and personnel management. Hands On! wants to make a difference! Our goals, among others, are sharing information, exchanging expertise with our members and influencing policy makers. Hands On! strives to act as a global leader, advocate and a resource for organizations serving the learning needs of children and families. Our aim is to represent European as well as non-European organizations. Our Goals Hands On! has three main goals. 1. To heighten the awareness, visibility and recognized value of children in museums. For instance by branding museums as relevant places of learning. But also by developing large-scale initiatives – like our Conference and the Children in Museums Award – that leverage the collective power of the field. 2. To support sustainability of Hands On! members. For instance by collecting statistical data on children in museums, to track existing and emerging trends. But also by providing our members with information on EU funds and projects. 3. To ensure the future of Hands On! For instance by diversifying our products and services. Send your application now ! Speak at the 12th Hands On! Conference in Germany. Submit your proposal now ! Join Europe's only children-dedicated museum conference. And meet colleagues from all over the world! Our theme: All inclusive. Museums as places for ALL children.